This week was minted for me. Minted in all senses of that word; fresh, new, optimistic, tasteful and of value. Every year we receive a Christmas card from family friends, the Ds. Over the years, their family of 9, (seven children) has grown with each wedding, and with each new grandchild. 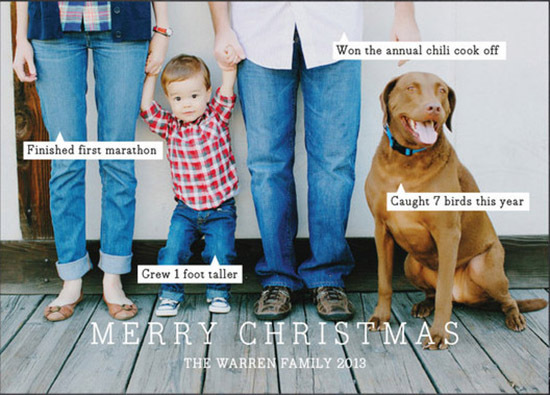 This year’s holiday card was particularly beautiful. The D family photo was of all 15 of them on their 5th child’s wedding day. But this year’s card was different. This one was really beautiful. It had a pearlized, lustrous finish that made everyone in our household turn it over to find out who had printed it. It was by a company I had not heard of before called Minted. I had made cards through other companies but this one was very distinct. Because I do not have official permission to show you my friend’s card, at this time, I am just going to show you a slice, to give you a sense of what Minted can do. Coincidently, a couple of days later I received an email from Matt from Minted. He asked if I would consider doing a review of Minted’s on-line stationary site. Normally I might not have paid any attention to the request, but because I had just received the D family’s Wedding announcement/Christmas Card, I was intrigued. 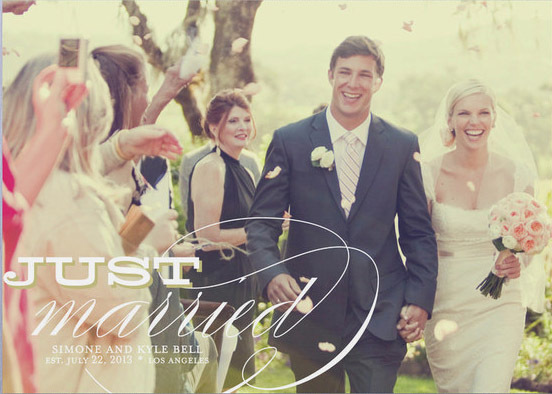 Minted would like to introduce people to their 2014 wedding series. 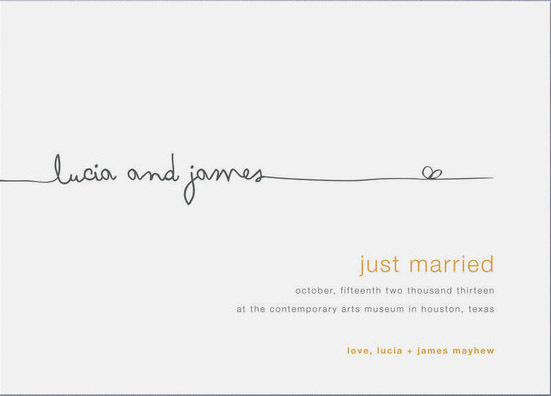 Here is the link to this new collection: http://www.minted.com/save-the-date . What I noticed immediately about Minted is that they have an amazing collection of modern designs. The compositions are fresh, current and aesthetically pleasing. They have the look of being thoughtfully composed by trained designers. This is no coincidence, because Minted prides itself on their commitment to good design. They can give this assurance because of the Minted Design Challenge. Designers submit their ideas and the Minted community votes on which designs Minted should sell. 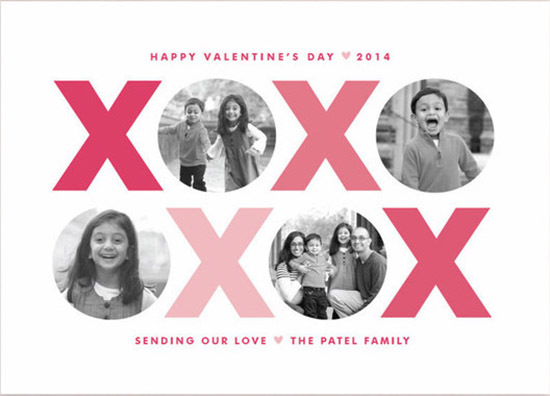 Minted has a great selection of announcements, as well as, photo cards. 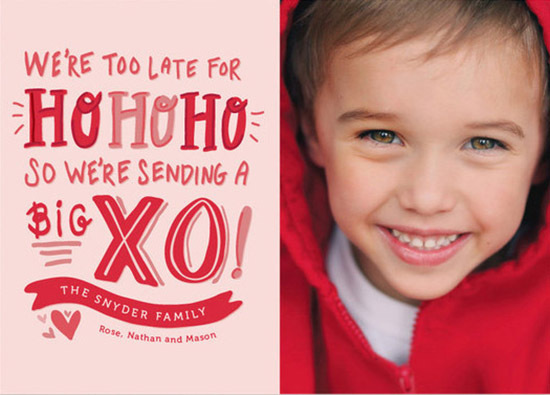 If you missed getting out your holiday card, try one of these Valentine’s Day cards and show your love!